So in Gear Talk #3, we dive in to 3 boots, all “Hike” or “AT” boots. Fischer Ranger Free 130, Full Tilt Ascendant, & the Tecnica Zero G Tour Pro. In a nutshell, all three boots are High-end, fairly lightweight touring boots. All have “hike” modes, and all are compatible with pin bindings. That’s probably about where the similarities end. The Ranger Free, is the most versatile, in my mind without a doubt. 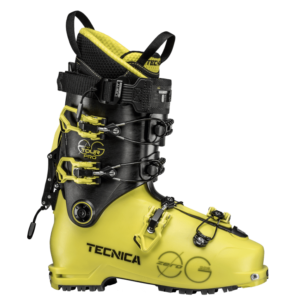 It’s probably not fair to say that without mentioning that Tecnica does have a boot that I would argue equals it in that category in the Cochise, but since it’s mainly unchanged we didn’t talk about it. 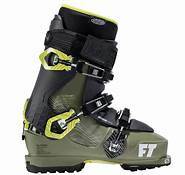 However, the Ranger Free, is a rock solid ski boot, and hike boot. It actually reminds me of a Lange Freetour in a lot of ways. That is other than the fact that the Ranger is actually a comfortable boot for those of us with a mid-wide foot. Initially when I looked at the specs on the boot, the first thing I thought was “damn, thats a lot of money”. That was until I put it on my foot and skied it, it’s worth the money. 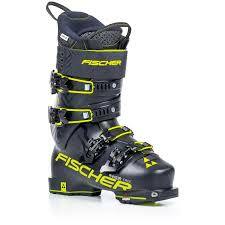 Fischer in general hasn’t had a great boot program for a while now. It’s been okay, and for those with narrow feet the RC4, and Podium boots are bomber, but let us be real, thats like 19 of the overall boot wearers in the US. The old ranger was a lackluster boot in my humble opinion. It was heavy, it had a limited walk range, wasn’t pin compatible, and by all accounts, was ugly. That brings us to boot #2. The Full-Tilt Ascendant. On the show I said that it was a good first attempt at what this boot is supposed to be, and I’ll reiterate, I do not mean that as a negative. This 102mm last boot is the cheapest of the three, it’s probably (definitely) going to be the least sold in units of the three, and it’s the one I’m most surprised at. The third, and my personal favorite. The Tecnica Zero G Tour Pro. First of all, what an absolute mouthful of a name with useless words in it. We know it’s a touring boot. Look at it! Other than that. This is a real deal hike boot. It’s the lightest of the group. It fits like a glove. It’s warm, but has great wicking. It’s light, but still rips. The flex is softer than what you’d expect out of a “130” but exactly what you’d expect out of a 130 flex touring boot. CAS makes the boot very easily customizable. The new power strap is super slick, as are the buckles. They have rockered soles with Vibram on ’em. Grilamid shell. Huge hike range.